Claire P. (Schultz) Foley, 86, a longtime resident of Jersey City, NJ passed away at home on Thursday, April 26, 2018. An animal lover, she was especially fond of dogs. 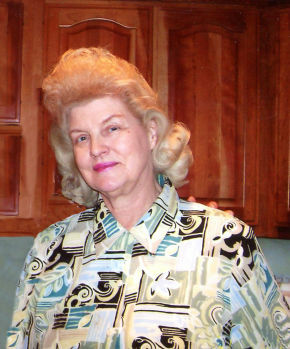 Prior to retiring, she was an administrative assistant with EBASCO in Secaucus, NJ for 20 years. Beloved wife of the late John Foley. Loving and devoted mother of John Foley and wife Anna Marie and Dennis Foley and wife Chrisann. Cherished grandmother of Jonathan, Joanna, Brittany and Morgan. Adored great-grandmother of Liam and Tegan. The family will receive relatives and friends Friday, April 27, 2018, 5-8 pm at Vander Plaat-Caggiano Funeral Home, 13-31 Saddle River Road, Fair Lawn, NJ. A funeral service is planned for Saturday, April 28, 2018, noon at the funeral home. Interment will follow at Hillside Cemetery in Rutherford.